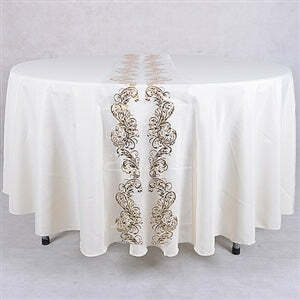 Decorate the dining table for a wedding with our premium quality organza table runners. Matching the organza table runners' color with our beautiful chair sash to truly reflect the beautiful color theme for your dream wedding. The affordable prices we have for the runners are a true bargain for all DIY brides. Don't forget that we have the flat rate shipping to further shrink your expending.